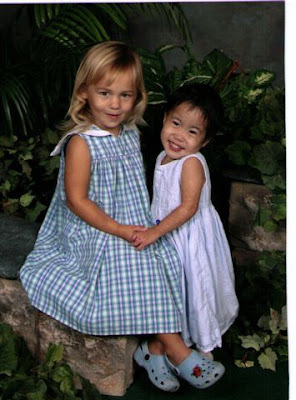 We had talked about adoption for many years and had actually started the process for a non special needs, infant girl from Korea when we found out we were pregnant with our fourth child (first girl). We were thrilled about our first baby girl but really did not know what to think about our adoption plans because God seemed to be telling us that adoption was not what we were supposed to be doing. About a year after our sweet Emmeline was born, we began to feel the familiar tug at our hearts. This time, however, I began to truly listen to what He was telling me. My brother was born with no fingers on his right hand and tiny fingers on his left as well as no toes on either foot and is my hero!!! As I began to open my heart and ears to what God wanted us to do, I understood that we were waiting for a beautiful limb difference child and not in Korea but in China!! I had always felt a pull toward these wonderful children and now I know why!! My husband, however, did not want to consider a limb difference child and really did not think he could handle any special needs unless they were very minor. I tried to respect his feelings and did not talk to him a lot about how my feelings were changing – until!!!! One day, I happen to see a post in a yahoo group from an agency in Alabama. They had a list of SN children from China and I thought I would just take a look. To my utter shock and joy, I saw her – our daughter!!! I saw her amazing face and eyes and was in love. I saw her beautiful little hands and was in awe!!!! Her hands looked so much like my brother’s and I knew my search was over and this was the little girl who I had been waiting for!!! The only problem was that she was “on hold” for another family!!!! Again, I was confused but felt His calling so deeply that I emailed the agency about her anyway – just in case!!! About 5 minutes later, I received a phone call from the agency telling me that the “hold” on this little one had been removed about 30 minutes before they got my email!!!! OK – that was loud and clear!!!! Now I knew I had to convince my husband that this was his little girl as well!!! Not only did she have missing and fused fingers and toes, but she also had one clubfoot. This was so much more than he thought he could handle! Little did I know that all it was going to take was an email and a picture!! As soon as he saw Lizzie’s face, God filled his heart and he knew and from that moment on, she was his baby girl and nothing would ever change that. I LOVE my husband!!! We did a lot of research while we waited and came to the conclusion that Lizzie more than likely suffered from ABS or Amniotic Banding Syndrome. 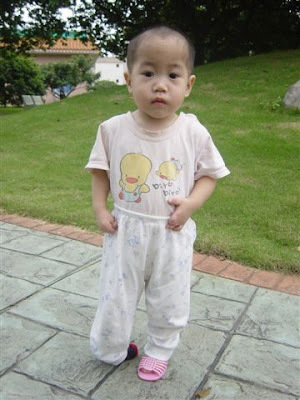 We knew that she would need to have some surgeries to separate some of her fingers and would need to be treated for her clubfoot that had never been treated in China. With the help of friends (Stefanie) we decided that we would use the Ponseti method for treating clubfoot. While we waited, we began to search for doctors trained in this method. As the days went by, we started a website for our sweet Lizzie, sent care packages and prayed for God to hold her close until we could!! When the time finally arrived to leave for China, we were overjoyed, scared, emotional, and nervous!! 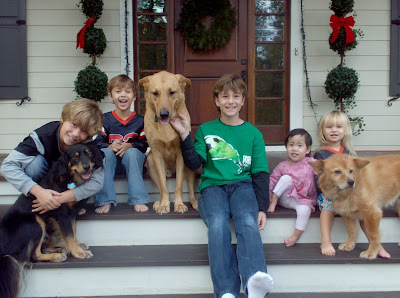 We decided to take 3 of our 4 kids with us, along with my Mother-in-law (best decision ever) and that was also stressful at first. It was so difficult to plan for and travel with 3 young children (not to mention 4 coming home), but it was absolutely wonderful and helped in Lizzie’s transition immensely. On June 10th, 2008 Lizzie was placed in my arms and forever in my heart!! She never cried that day. It almost felt like she was saying, “It is about time!!! What took you so long!! I have been waiting for you! !” She was incredibly tiny and very far behind developmentally for a 2 year old, but every day we saw such improvement. It was like we were seeing her blossom right before our eyes and it was amazing!! For as much as she had been through in her short little life, her capacity for love was breath taking!! It has been a long road but Lizzie is worth every single second. I cannot imagine our lives without her and shudder to think what her life may have been like if she had not been adopted. Lizzie’s limb difference is such a non issue that I have to stop and remind myself of it sometimes. She really can do anything she puts her mind to and more!!! Her clubfoot has been casted (18 casts) and she is now wearing her brace for 14 hours a day and does great in it!! In 2 days we get to reduce her time down to 12 hours a day!! After she is done with her brace, she really won’t even have to think about that foot anymore. She will be able to play sports or dance or whatever her heart desires. My husband is so looking forward to coaching his girls in soccer when they are old enough!!! She has had 2 hand surgeries and was up and playing the same day!!! We may do a little more surgery on her hands later but it should be relatively easy and a quick recovery. I know now that this is truly what we were meant to do and Lizzie was meant for us!!! People sometimes tell me what a lucky little girl she is. I know they are just trying to be nice, however, we think we are the lucky ones to be so incredibly blessed by this sweet, strong, determined, loving little soul!!! Feel free to visit our family blog here!